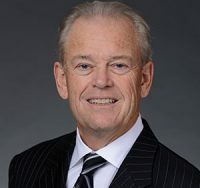 A lawyer and former insurance industry executive, Malcolm Heins was appointed Chief Executive Officer of The Law Society of Ontario in 2001, retiring in early 2012. He then joined the Counsel Public Affairs team in June 2012. 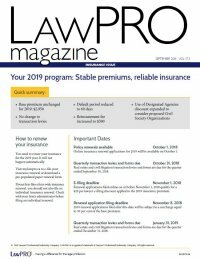 Mr. Heins also served as the Chief Executive Officer of the Federation of Law Societies of Canada from November 2005 to June 2006, and from 1994 to 2001, he served as LAWPRO’s first President and Chief Executive Officer. Prior to that, Mr. Heins was the President and Chief Operating Officer of Gan Canada, formerly Simcoe Erie Group, then one of the largest underwriters of professional liability insurance in Canada. Before joining Gan Canada in 1981, he practised insurance and commercial litigation in Toronto. He is a graduate of Dalhousie Law School. Mr. Heins chairs LAWPRO’s risk committee and is a member of LAWPRO’s executive, conduct review, audit, governance, and investment committees. Mr. Heins is a member of the Law Society of Ontario and in addition to LAWPRO, serves as a Director of Pro Bono Ontario, and the Canadian College of Naturopathic Medicine and Cancer Care Ontario. He received the Law Society Medal in June 1999, the 2002 Award of Distinction from the Metropolitan Toronto Lawyers Association and, in March 2005, Communicator of the Year by the International Association of Broadcasters (Toronto).